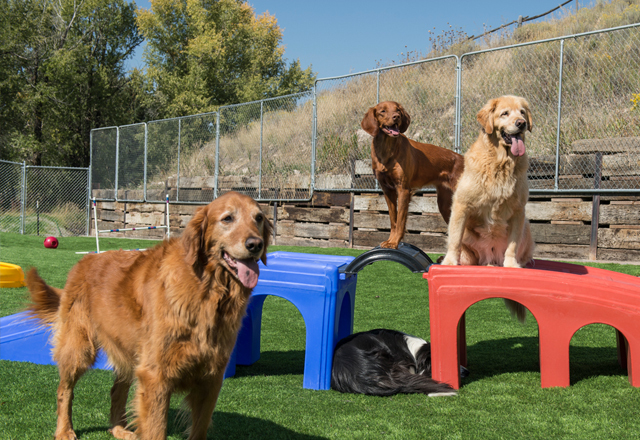 There's nothing like home but Five Star Dog Resort is the next best thing for your dog when they have to be away from home. Our guests can conveniently be driven directly under a covered carport. We like to ensure that our guests arrive and leave nice and dry even if the weather is inclement. Before entering our Boarding area you will be surprised to hear and smell, or should I say… not… hear incessant barking or smell soiled air. Our returning four-legged clients are always arriving with wagging tails. Our caring, loving staff always greet your furry friend as if they are our own and in return receive many thankful licks. At maximum capacity when all 37 suites and 13 doggy-dorms are occupied you would never believe it. Our resort environment is peaceful and quiet. Our guests enjoy relaxing the day away in their own individual suites. We do not use ANY cages or chain link. 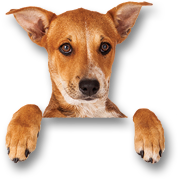 Our facility is custom designed to create a stress free environment, with private suites, designed with actual doors for the home-like feel they are able to relax not constantly seeing other dogs. 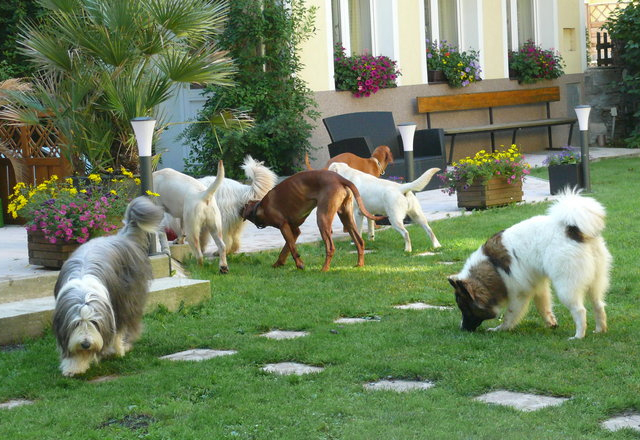 Three times a day your dog is walked outside to their own individual potty run. Each suite is equipped with an elevated bed, water at all times, and an individual drain. Every morning every single suite is cleaned. The rooms and beds are sprayed down with a pet-friendly anti-bacterial solution. All areas are scrubbed, squeegeed and mopped. Bowls are sanitized using a dishwasher and are switched out daily. Outdoor potty runs are welded metal runs with adequate spacing between the runs so that no dogs can come into contact with one another. There are 4,000 sq. feet of non-slip floors throughout the facility. Other features include: air filtration (hepa and ionizer systems) ceiling fans, central ventilation system, central heating and air, filtered water system, a dishwasher for our bowls to ensure proper sanitation, monitored cameras and motion detectors, surround sound music at night time, television with VIP suites and a Five star blanket available to all guests. Our furry guests get a cubby assigned to them for their personal belongings, such as medications, their food, and toys*. *Permitted items must be durable and washable. 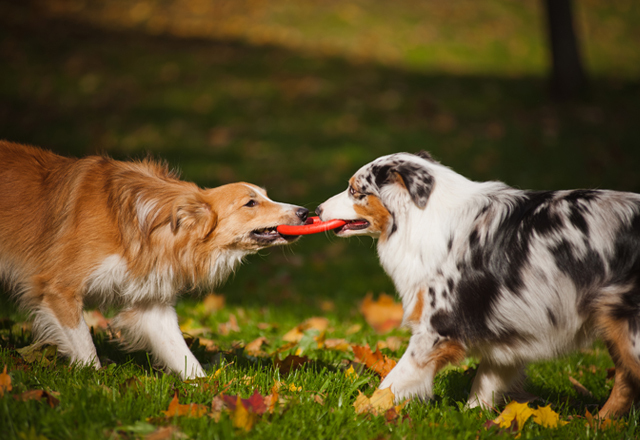 Allowed include durable ones such as Nyla Bones, Kongs, etc. We do not permit rawhide, cloth or stuffed animals for the safety of your dog.